What doesn't Bobby do around here? 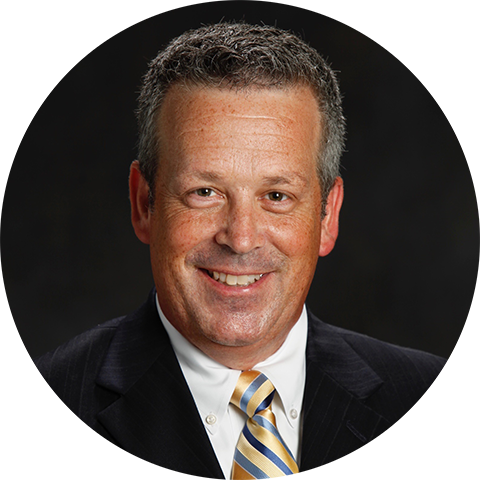 As the President and CEO of Ecoprint, Bobby navigates the tumultuous seven seas of sales throughout the day, constantly planning for the next month, the next year, the next decade. Having grown up in the industry, Bobby's passions have always rested with printing. He has enjoyed a successful and vast career in the printing industry for over 20 years. As the CEO of Sveconway, Bobby incorporated green technologies, procedures and materials into his business, catching the attention of American Printer Magazine. In 2009, the publication honored Sveconway with the Environmental Excellence Award. Now CEO of Ecoprint, he enjoys seeing his business grow and enjoys working with the Ecoprint family. Outside of work, he alternates between exploring the great outdoors and managing a busy home of two daughters, two dogs, and a cat. Kathleen's been in printing since high school. Newer to Ecoprint, she handles client billing as well as marketing and promotional items for Ecoprint. 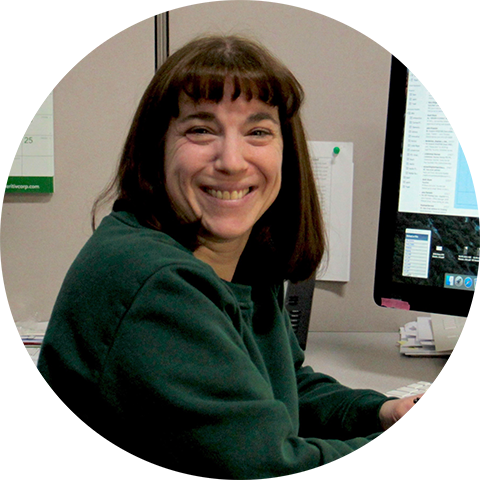 Her favorite thing about working at Ecoprint is how personal it is, especially compared to the larger, corporate shops. She enjoys shopping, movies, and when she’s not at work, she's catching up on the National Zoo’s panda cam! 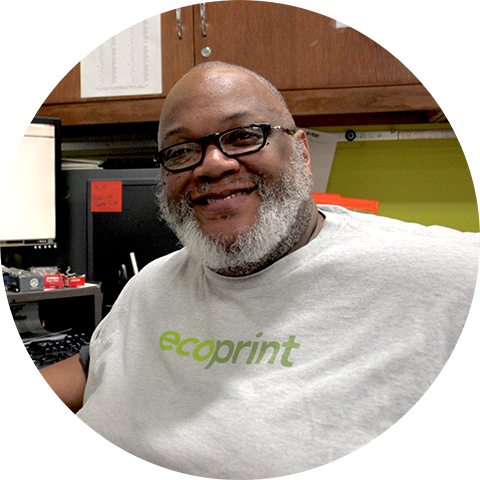 Odell has his hands in a lot of projects at Ecoprint -- from mailing, postal data processing, digital printing, and even some pre-press. 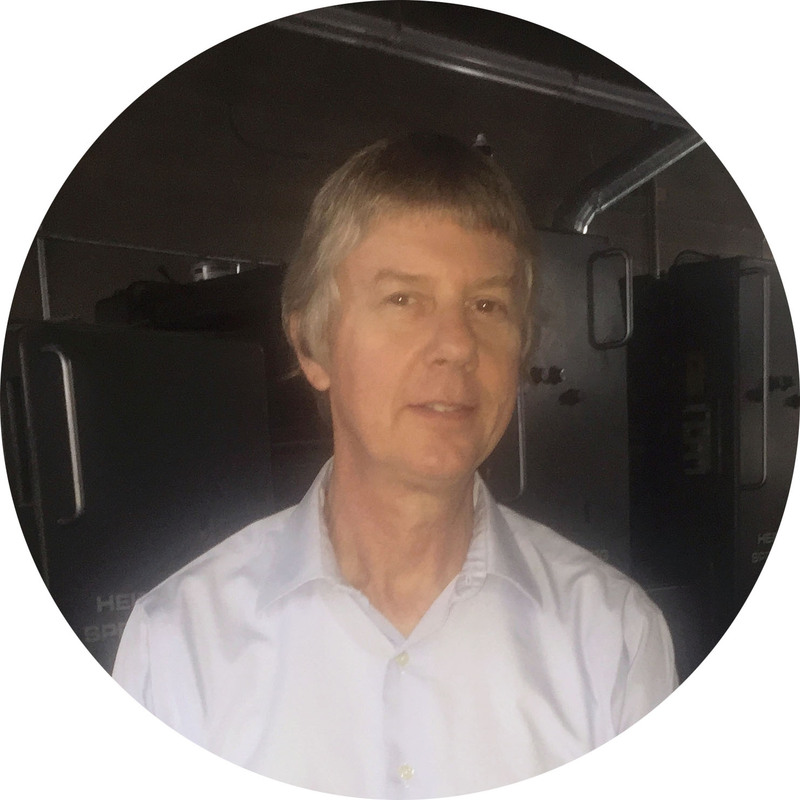 He's been with Ecoprint for over 30 years, and loves working here because of Ecoprint's eco-focus and its treatment of their employees. At home, he's all about spending time with his wife and granddaughter, Netflix, and an occasional marathon PS4 session. Though newer to Ecoprint, Gina is no stranger to the printing industry. As a customer service coordinator, she juggles a little bit of everything. Throughout the day, you'll find her onboarding new customers, writing proposals, doing design work, and other customer requests. If she's not at Ecoprint, she's spending time with family going to ballgames and taking day trips. 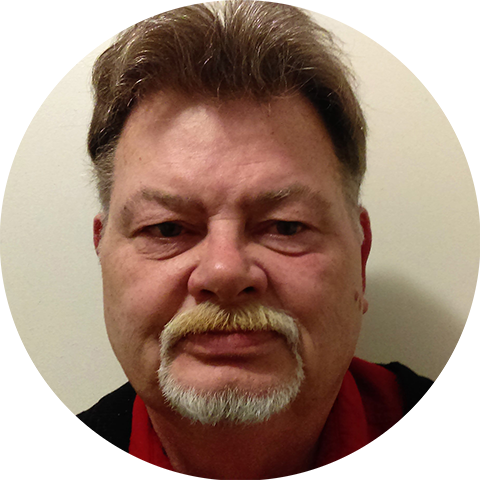 Mike has been in the printing industry since 1973. Working as both a production manager and a project manager, there is little he hasn’t seen in his time. From 1981 through 2001, Mike worked as a police officer in California. However, upon his retirement from the force, he returned to his roots in the printing industry. It comes as no surprise that with a background like Mike’s the details are taken care of and his grasp of serving his customers is second to none. Allen has been in the industry for 31 years, 4 of them with Ecoprint. Around the shop, he provides quotes and estimates for new projects and yearly bids. He enjoys the autonomy he's afforded at Ecoprint, and loves working for Bobby, who gives him the freedom to make decisions and own his position. After work, he's either reading, playing with his two dogs, or taking care of his 1960 Thunderbird. 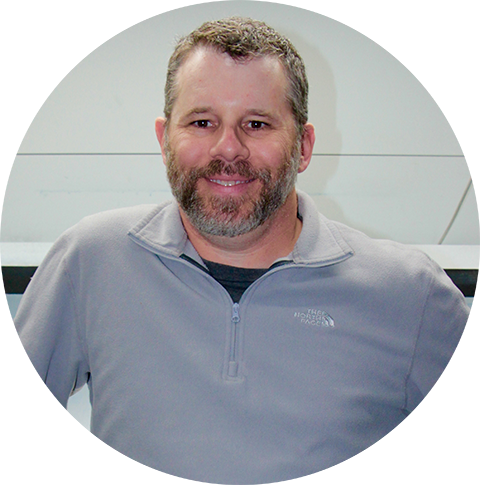 Scott manages digital printing and prepress at Ecoprint, and has been with us for the past 8 years. He has over 20 years in the industry. He loves working at Ecoprint for the variety and quality of the work produced, as well as the people and eco-friendly philosophy. Outside of the office, he takes care of his two dogs, Ginger and Shorty. He also enjoys traveling, playing golf, watching sports, and listening to some loud music. 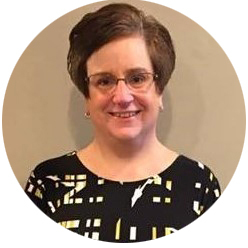 Mary is a project manager with 34 years in the industry, and is a jack of all trades in the office. She's often found juggling a wide variety of projects; from production planning to layouts, proofs, and press inspections. 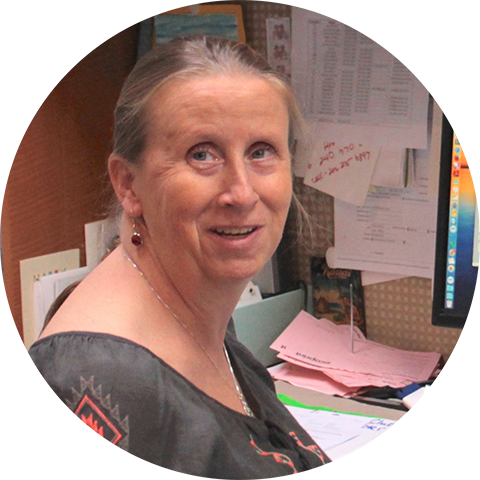 She embraces the changes in the printing industry and enjoys learning new technology. When she's not at work, she'll be found riding horses, hiking or kayaking. She enjoys photography, art, or reading a good book on the front porch. Scott is the man to get things done. Always available (and we mean always), he spends his time at Ecoprint helping everyone get their jobs done, whatever that may require. 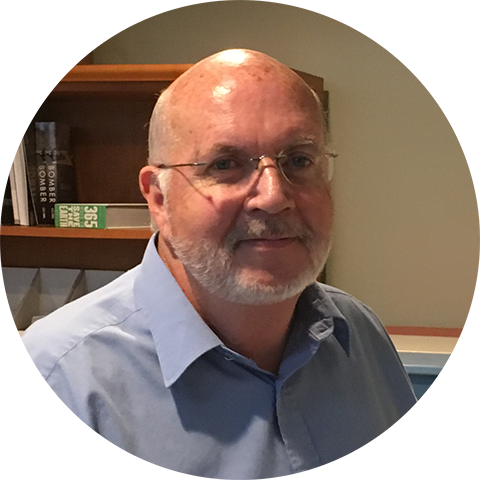 He loves talking to customers and helping them realize their printing goals, and especially loves Ecoprint's ecological focus. Outside of work, he's following the latest in Formula One racing or putting his classic cars on the track. 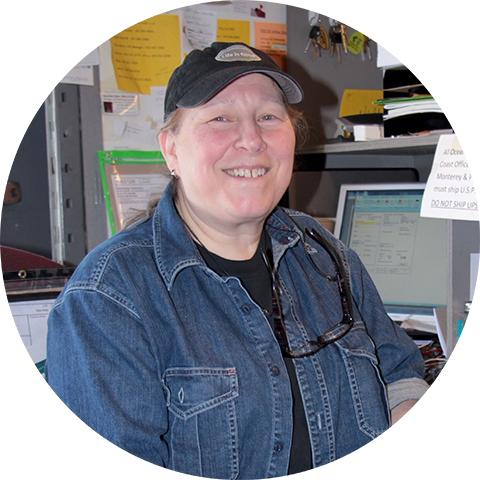 Sharon juggles a lot of responsibilities here, working on every machine in the shop and working on everything else -- from shipping, to job prep, to sample checking. With 40 years in the industry, your job will go through Sharon multiple times before you ever see it. At home she enjoys making jewelry and spending time with her rescue Cairn Terrier. Ava is newer to the industry and to Ecoprint but immediately took to her role in the marketing department. She handles all of our social media sites, writes for our blog, and coordinates publicity for our events. She also plays a part in our design process for some of our projects. When not at Ecoprint, she loves to craft and pet dogs, particularly her badly-behaved Maltese, Fat Stanley.